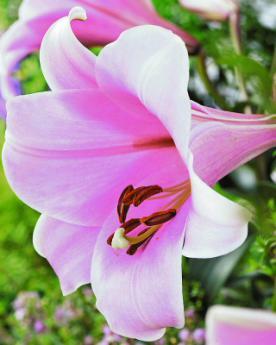 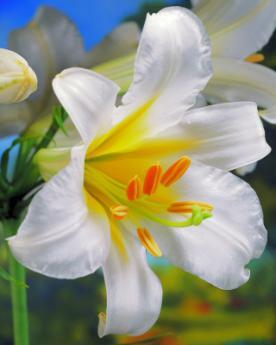 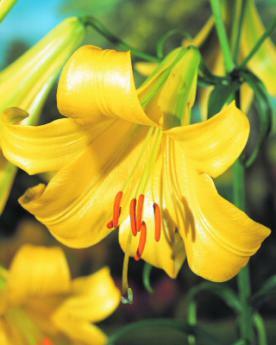 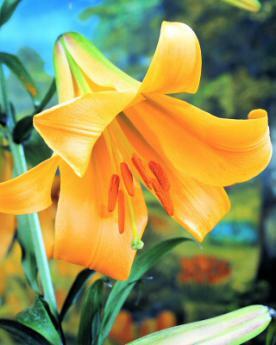 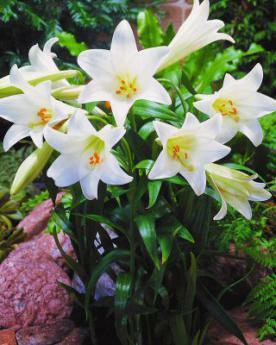 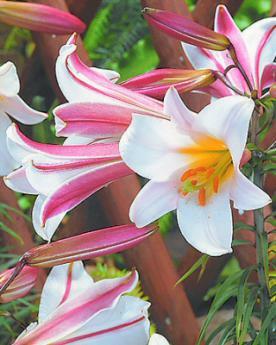 These Lilies, with their large heads borne on tall stout stems, make a fine show grown in the border. 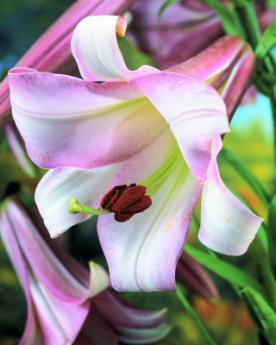 Prima Donnas of the July and August garden these are the lilies that will give your garden individuality, fragrance and distinction. 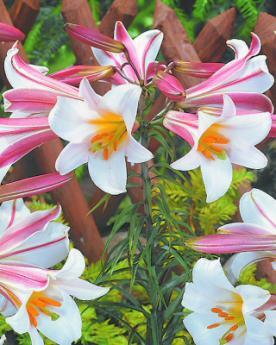 Trumpet Lilies also make an impressive display planted in large pots.